Powerball – a Chance for Winning Millions Is Coming! Powerball is probably the most widely known numeric lottery in the world which attracts players with its rollovers. It has existed since 1996 and is now available in 45 states of America. It is featured with simple game rules which haven’t been changed throughout the years. Due to the possibility of playing the game online, you can also take part in this incredible numeric lottery. We’ve published numerous stories about lotto winners. 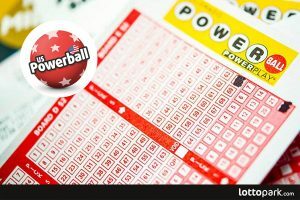 Due to its great jackpots, Powerball gains the most attention from the players, and at the same time, this is the lottery where the most amazing things happen. We’d like to present you 2 cases which go beyond imagination. In our opinion, even a highly-skilled novel author would not be able to come up with anything as entertaining. April Fools’ Day is a great day for jokes and laughter, but it may also be a great to change your life by winning the lottery. That’s what happened to one of the players who won an impressive Powerball rollover on April 1st and this time it was not a joke! Each day brings an opportunity to claim one of the great lotto jackpots, so play to win! Another Powerball rollover is waiting for a lucky winner! The great American Powerball lottery knows how to encourage its fans to play! The prize pool has been continuosly rising for several weeks now. The next draw brings an opportunity to hit a $147,000,000 Powerball rollover. Without a doubt, such an amount is worth giving a shot. Will you take your chance or rather let it pass? Powerball rollover claimed! Check your ticket! After a few weeks of waiting for a winner in the famous American Powerball, we’re glad to share some great news. The last Powerball rollover worth $155 000 000 has been claimed by a single winner, making him a millionaire. This means the drawing on Sunday will be worth $40 000 000, the minimum Powerball jackpot. The possibility to win more than one billion dollars is nowhere near with Powerball lotto! Powerball lotto is the biggest and the most reliable lottery jackpots in the whole world. The American lottery game Powerball is widespread not only 44 states of the USA but also in Europe and New Zealand. The results of the jackpot are always a kind of sensation.